For May’s Time Waster of the month I’m going back in time – back to December of 2008. That’s when Mobigame released Edge, a 3D puzzle game for your iOS devices. There’s nothing super fancy about this game. You take control of a cube and try to navigate it around various worlds. The object is to collect all the prisms and complete the level as fast as you can. There are several ways to control your cube. 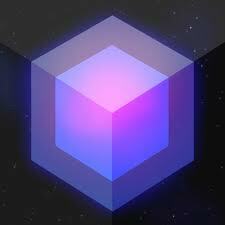 By default you tap and drag your finger in various directions to make the cube role. You can also choose to use your devices gyroscope, or my favourite the four button control. Finding all the prisms in each level can be tough, but thankfully you do have a mini map in the upper left corner to help you out. Completing the levels quickly is no easy task either. You have to climb up walls all while trying not to fall off the edge to your death. The faster you complete a level, the fewer times you die, and the more prisms you collect will give you a higher ranking for each level. Here’s my video review of Edge where you can get a feel for what this game is all about. The $2.99 price tag for Edge may scare some people off, but the difficulty of the game and replay value make it well worth it. It’s a fun game to pick up when you have a few minutes to spare. Do you think it’s worth the price? Let me know what you think in the comments section.